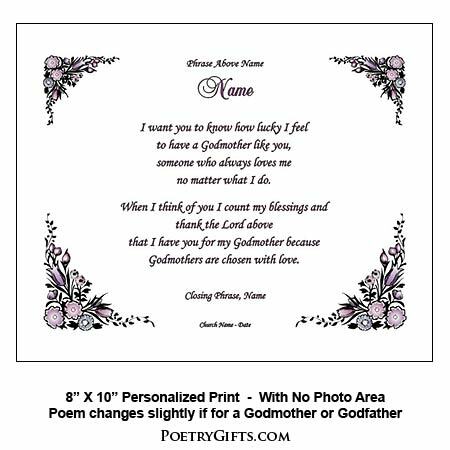 Unique Godparent gifts for many occasions. 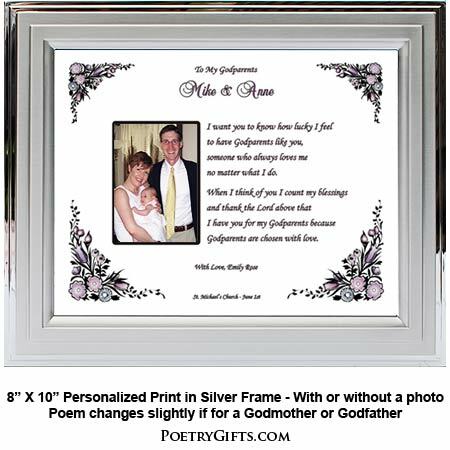 Special baptism, birthday or thank you gift... 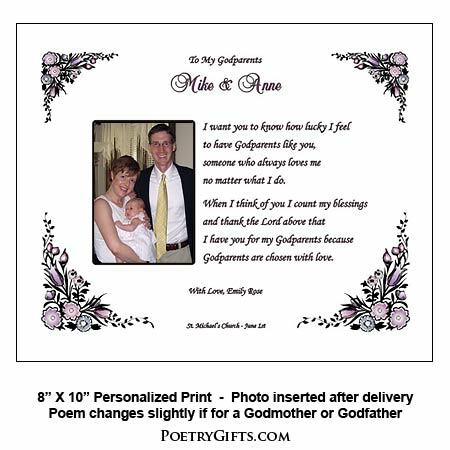 These unique Godparent gifts can be personalized for Godmother, Godfather or Godparents. Bought two of these for my twins Godparents. Bought from this company before Good service and different products. Wonderful product! 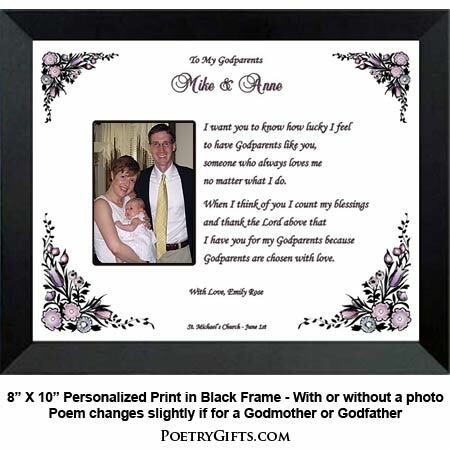 I purchase the personalized poem in frame for my daughter's Godparents as a keepsake gift and was very happy with it. 5 stars!